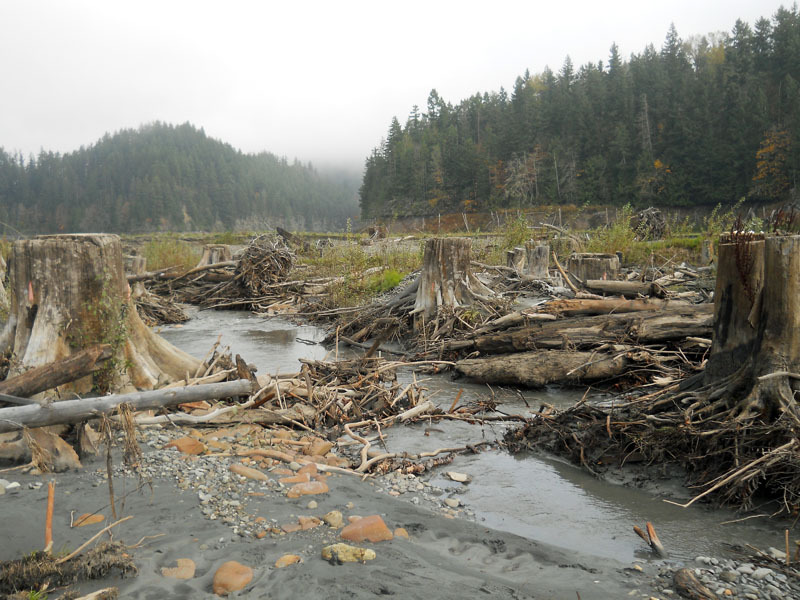 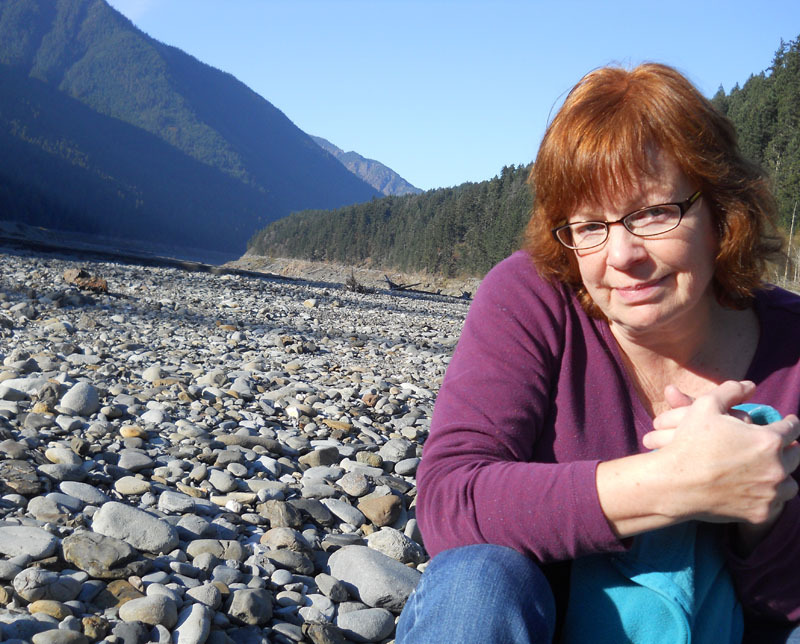 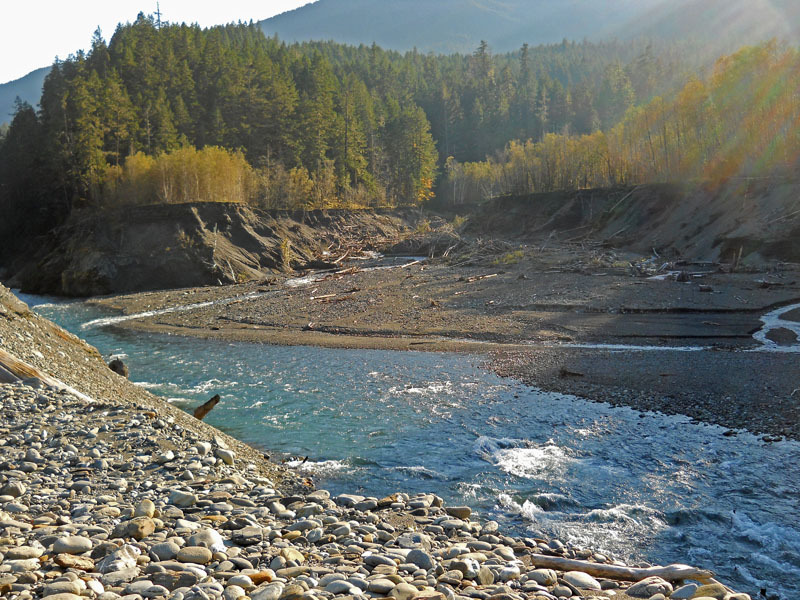 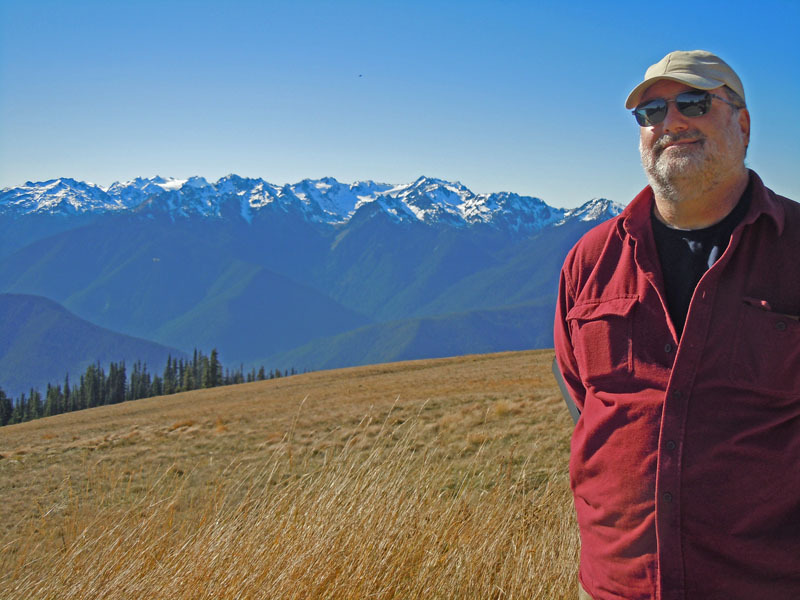 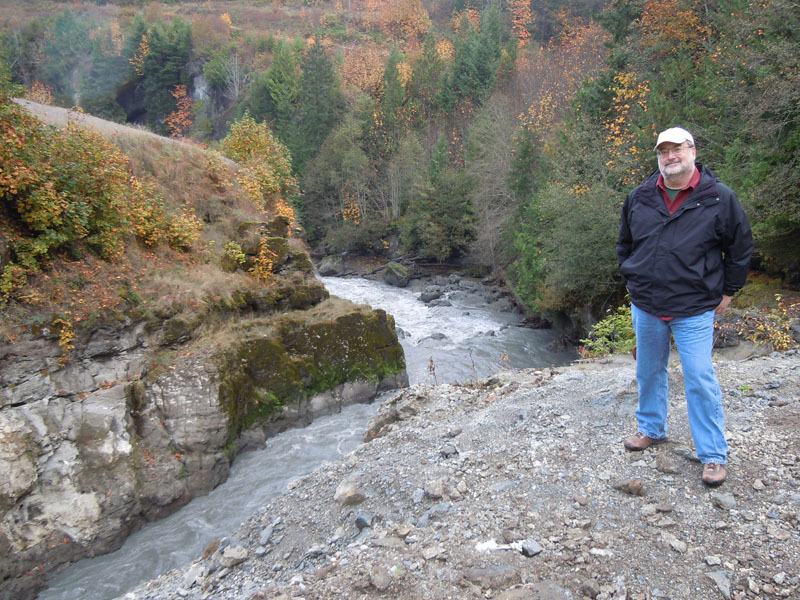 The Elwha River, on the northern flank of the Olympic Mountains, is undergoing restoration after the removal of two dams - the Elwha Dam, and the Glines Canyon Dam. 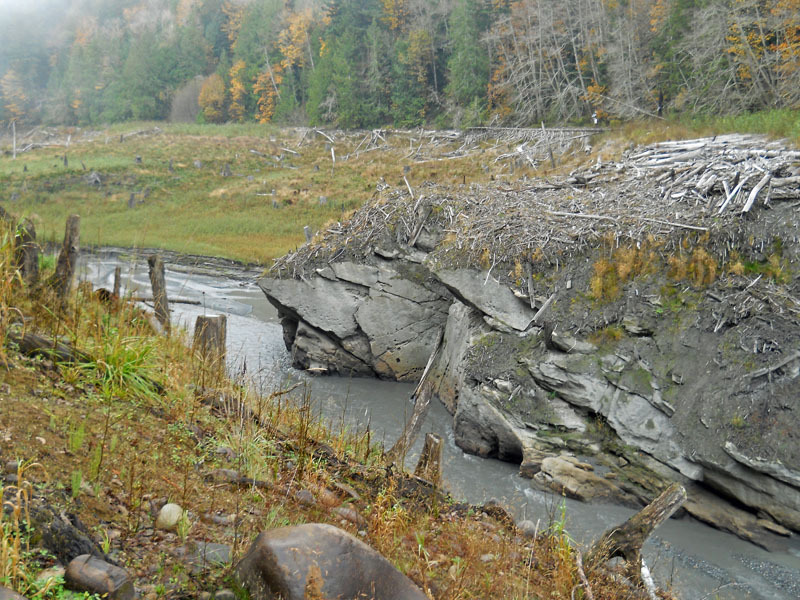 The removal of each dam exposed an area that had been underwater for about 100 years, and opened up the entire river system for salmon migration. 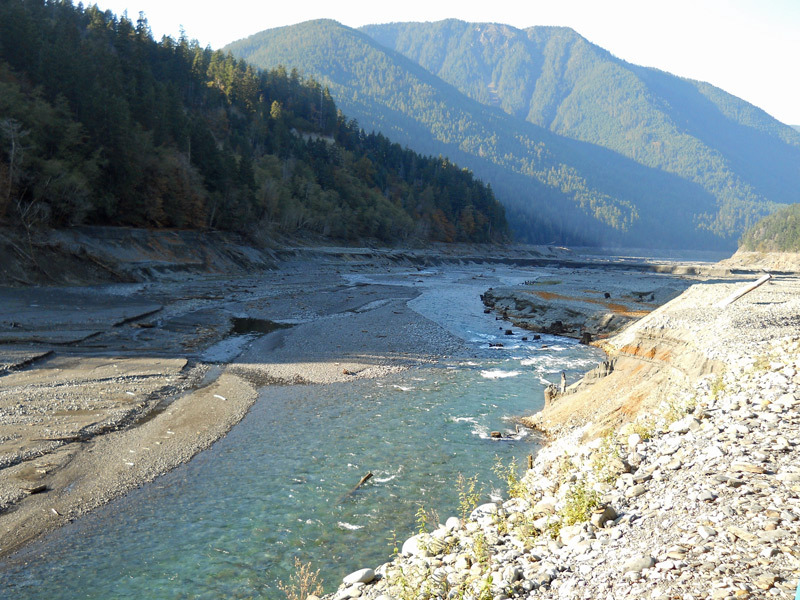 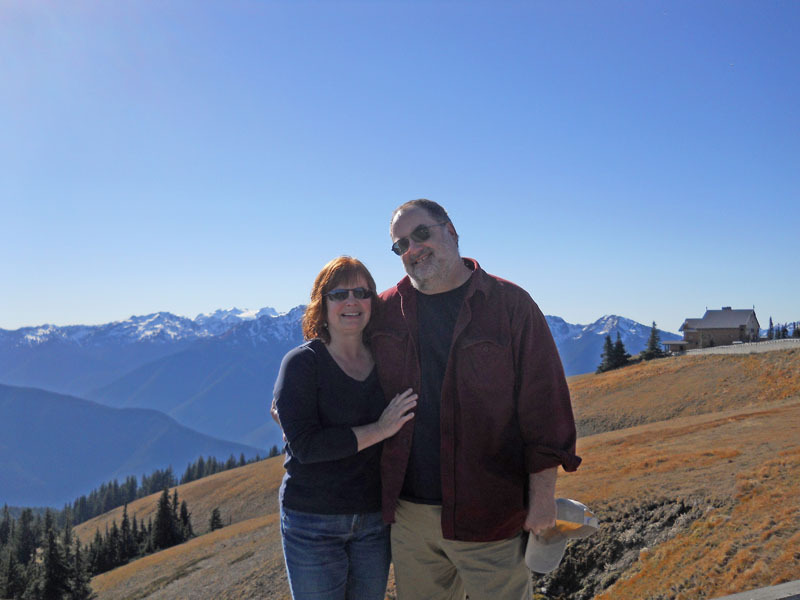 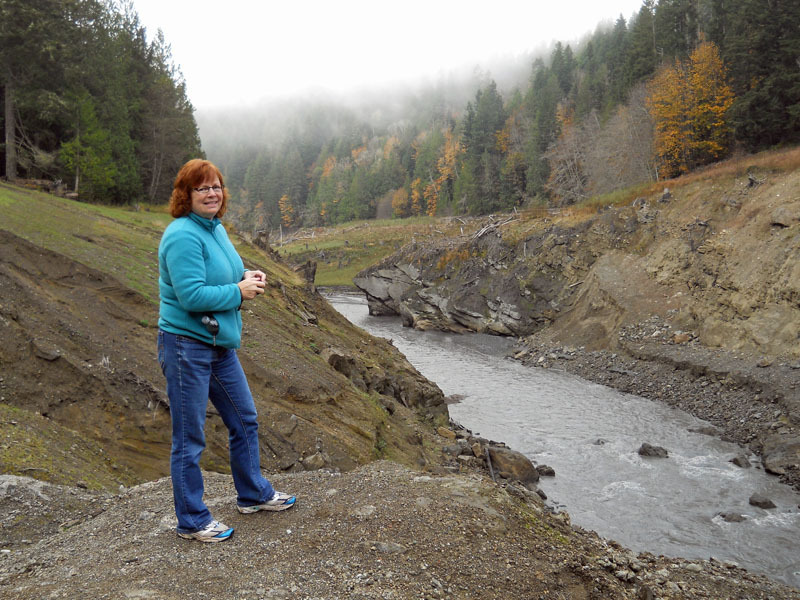 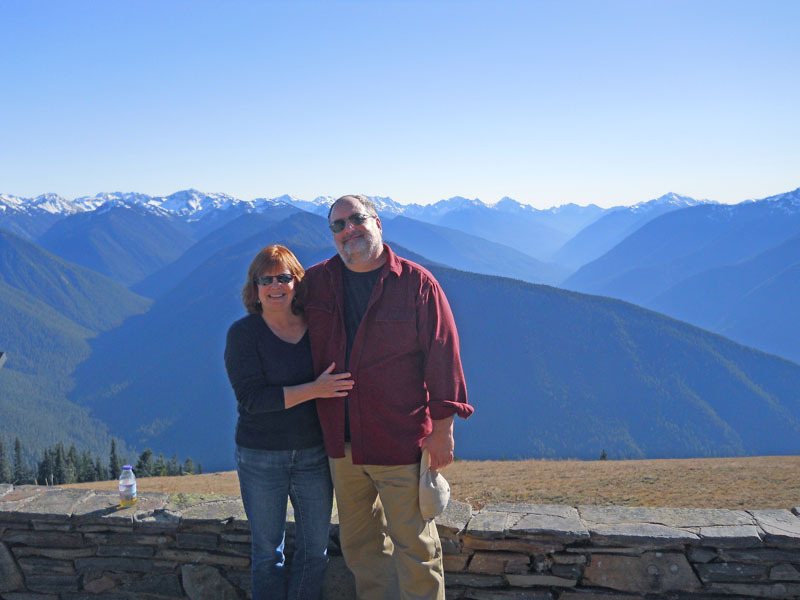 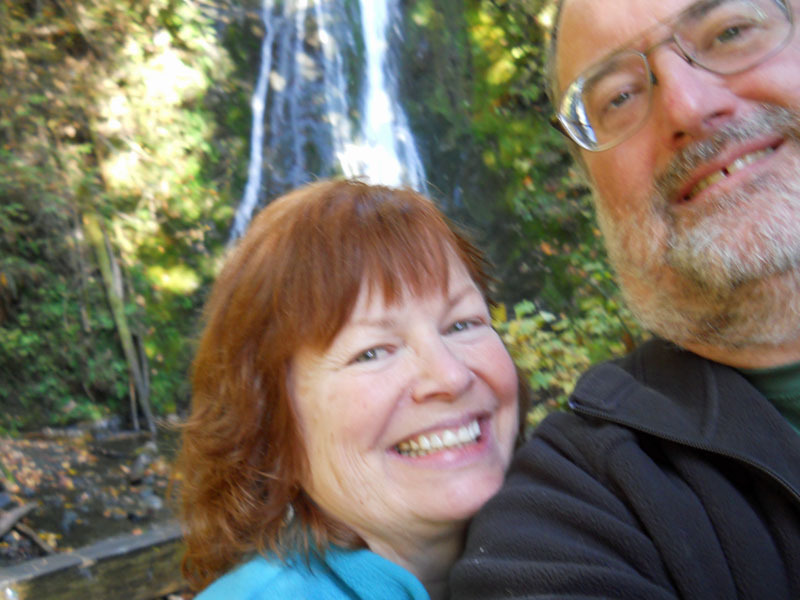 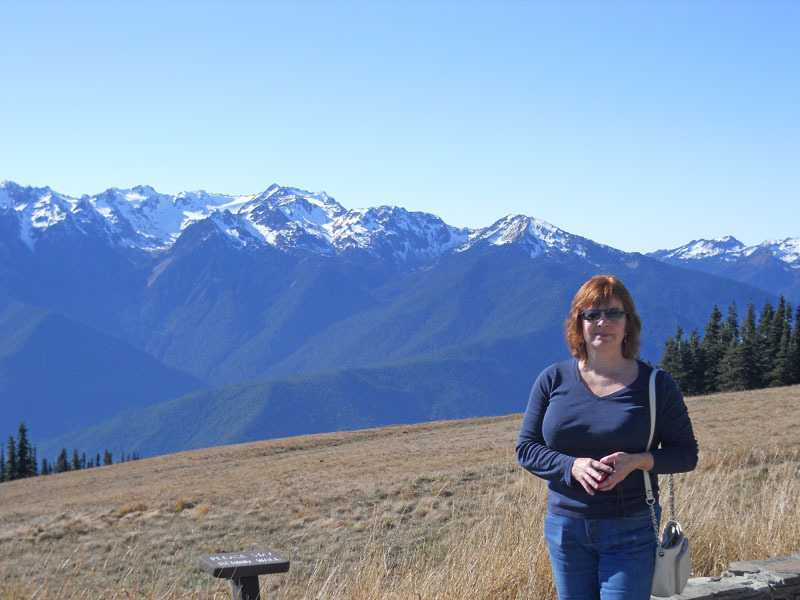 Elwha Dam was built in 1912, forming Lake Aldwell. 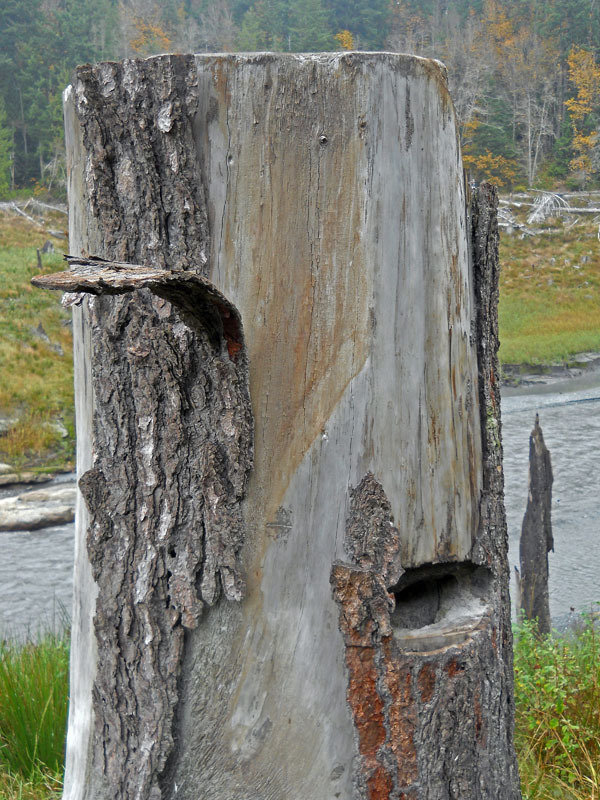 Removal was completed in 2012. 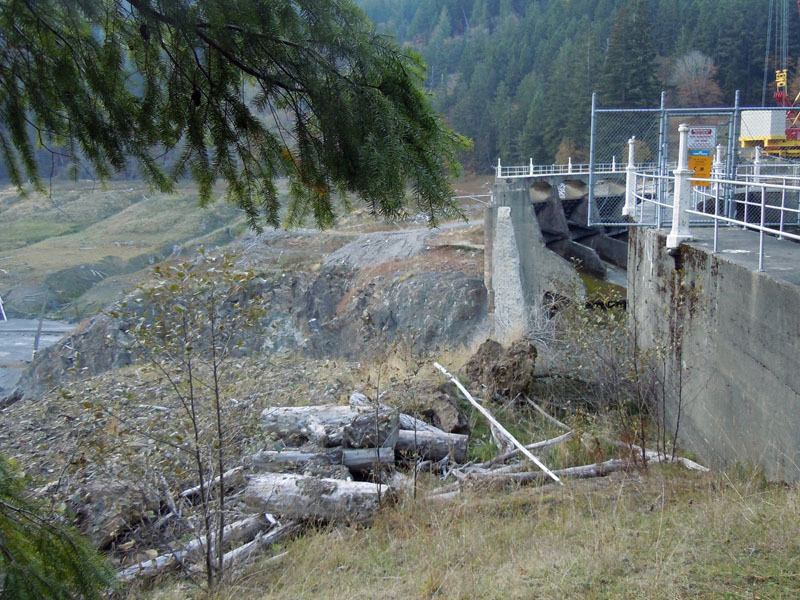 Glines Canyon Dam was completed in 1926, forming Lake Mills. 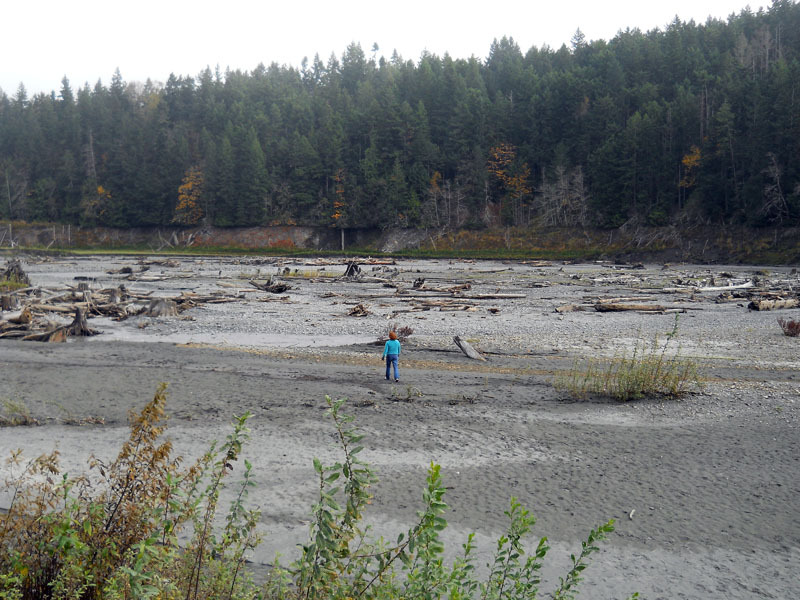 Removal is scheduled to be completed in 2014; Lake Mills was fully drained in 2012. 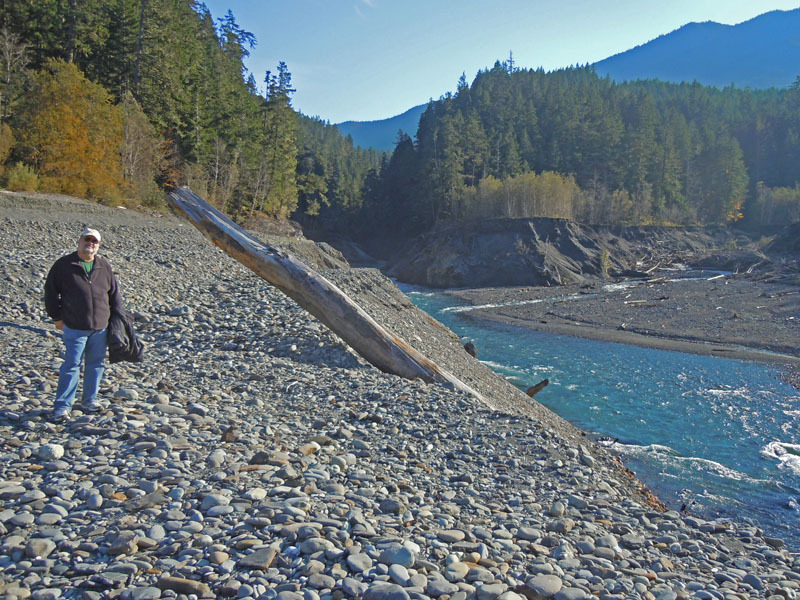 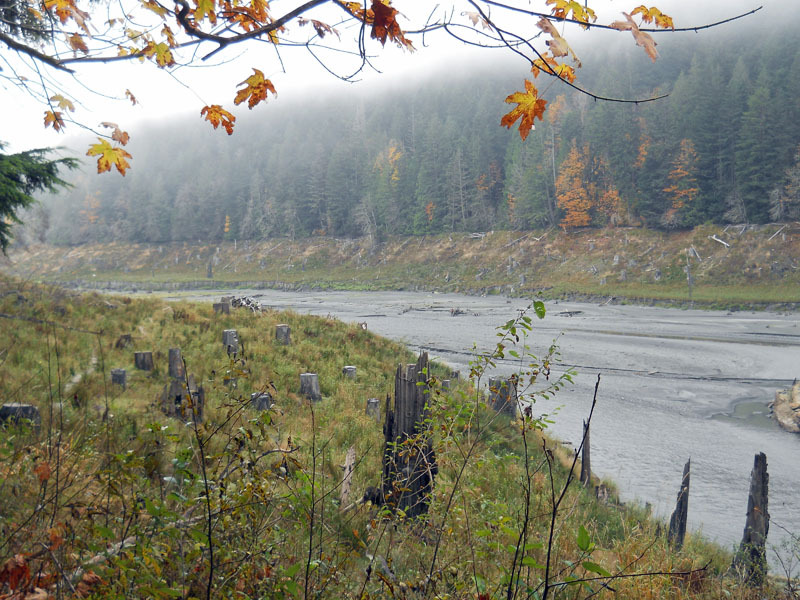 These trees were cut before Elwha Dam was built in 1912; they were at the bottom of Lake Aldwell for 100 years. 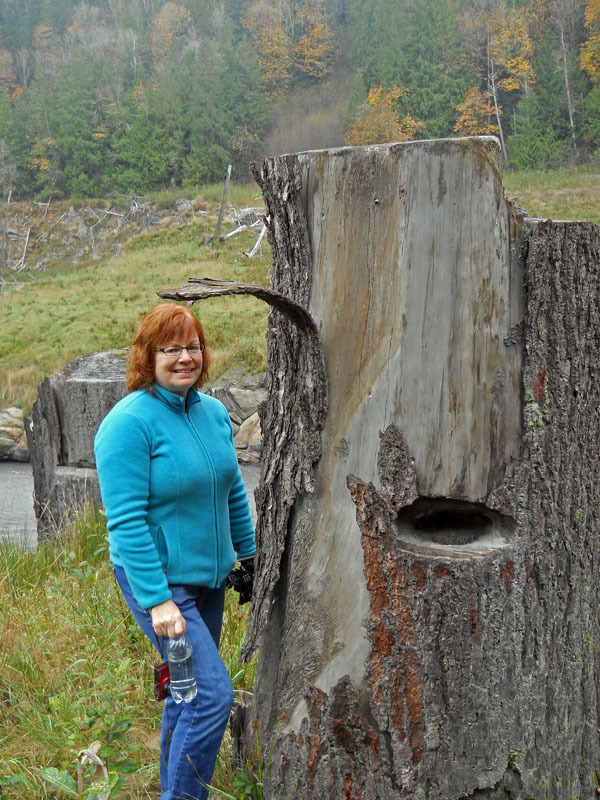 They are perfectly preserved, they look like they were cut a few years ago. 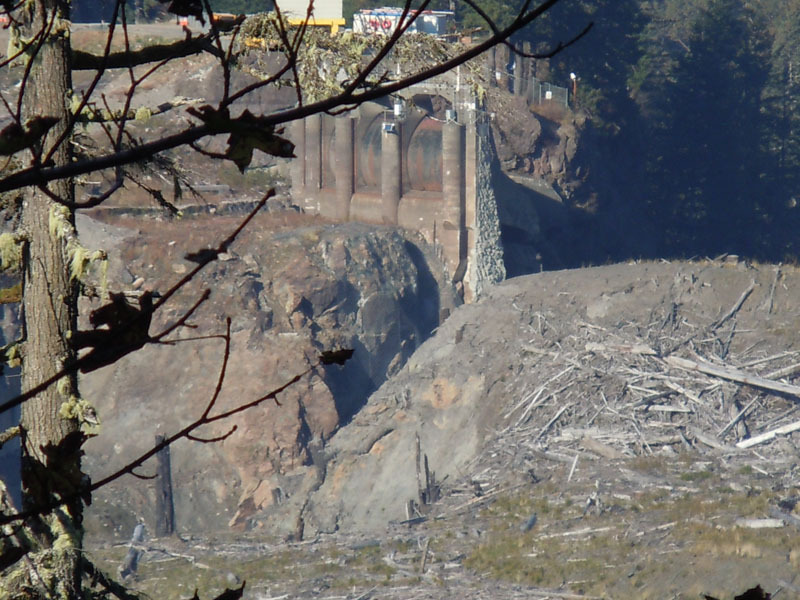 Glines Canyon Dam, demolition underway. 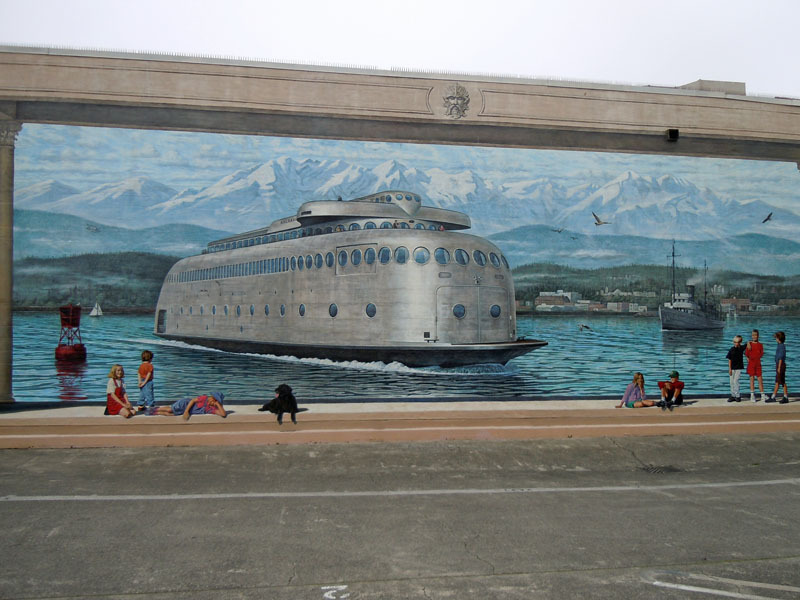 A cool mural of the Kalakala in Port Angeles.